Here in Cappiesa Cultural Corner im going to interduce you to all the greatest things ever made in the history of ANYTHING EVER.Be it movies video games signifcant events in our history or even a few weird things like intrsting places or moments in history you might not know about.We are of course also up for suggestions on things to talk about and taking requests on things you think everyone should know about. Ahh, I remember both the movie and game. The movie was weeeeird though Lol. 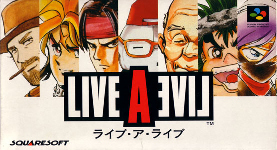 Cappies Culture Corner presents "A game you should have played already"
Near Future-If the above scenario is an Homage to SF2 this is an homage to every near future anime imaginable.You play an orphaned teenager in a heavily mechanized future who just so happens to be gifted with psychic powers.This is one of the longer scenarios with alot of story tons to do and lot of optional stuff to tinker with.Your psychic powers can be used to rear peoples minds to get other important kinds of dialogue theres a whole technology tinkering minigame that will remind you of the pre-history chapter again and a little robot party member to customize.This scenario is mostly serious in theme but theres a few comedic bits here and there.It culminates in a GIANT MECHA BATTLE complete with its own dramatic awesome theme music.GO GO BURIKI DAIOH! Medieval-This hidden scenario only opens up after completing all the others.After playing through all these weird scenarios its actually a bit disconcerting to be going though incredibly generic standard RPG fare and for the first time having random encounters like a regular RPG.The whole set-up with the spiky blond haired RPG hero beloved by all Magician complaining world weary old adventure buddies heroic dialogue about love conquering all and a princess that needs saving from a demon actually seems weird now compared to the other games.They are doing it on purpose its done that generically in an almost mocking manner while the story just gets darker and more bleak as it goes. Thank God he uses paragraphs. This is the kind of movie that could never be made today because fat bastards like George Lucas want everything to be CGI so we will never again see something tangible right in front of you and give the actors something real to interact with.David Bowie isnt singing "Magic Dance" to a ping-pong ball hanging in front of a bluescreen hes turning to something that for all intents and purposes is a Goblin servert sitting right next to him singing along.Its a sad thing seeing all these damn CGI movies where everyone has the delivery of drunk Keanu Reeves because pingpong balls dont stimulate their imaginations any.Movies like The Neverending Story The Dark Crystal and Labyrinth have a kind of magic we simply havent seen since the 80s. if im not mistaken isnt the inspiration behind raiden from big trouble little china? devilmaggot666 wrote: if im not mistaken isnt the inspiration behind raiden from big trouble little china? 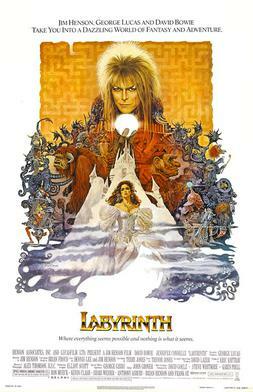 Ah Labyrinth, one of my all time favorite movies even tho I usually cant stand choreographed singing. It helps that Jeniffer Connoly is smokin hot. Of course David Bowie is awesome too. 3 Anyone else getting a Pokemon vibe from this thing? Yeah they were called BeastFormers lol. I still have the kangaroo but for some reason he has the deer's weapon. Now the people behind it probably intended to for this to be the "black Bruce Lee" movie but it ended up better than JUST that alone.First you have to accept that the movie is a bit cheesy and over the top,This helped actually make the moe even more enjoyable and it has been argued many times that two of the most important characters BAD acting actually helped make the movie better. Then theres the villain.Now the actor playing said main villain is not a good actor.He also isnt a good martial Artists like ther main character and seems to have taken a 2 week course in cheesy blacksplotation style Kung fu complete with stilled movements and awkward bent knee spin kicks.Maybe its terrible BUT................Man could this guy ham it up.He isnt just the bad guy he is "SHO NUFF.... THE SHOGUN......OF HARLEM".Weird as the main character is Sho Nuff is even weirder.Sure hes jive talking like everyone else but hes a jive talking martial arts expert that tries to act like some ancient Chinese Warlord terrorizing the countryside he claims to rule with his gang of flunkies.He doesnt just enter a room in his scenes he ENTERS and demands that his flunkies line up and answer about who is "The BADDEST" and "The PRETTIEST mofo in all ah Halem".Anywhere else and it would be cheesy but here its AWESOME and he really seems like a good fighter thats just taken his obsession to far[While being badly researched and using Tiger style Kung Fu and a Japanese title].People obviously think hes an idiot but hes a 6' 10" idiot that can shatter boards with a slap of his hand and kick through cinder blocks so when when he says "Who is the MASTAH?" every else says "SHO NUFF!" Is it really the best movie ever made? 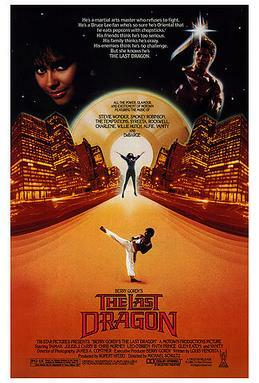 The Last Dragon is good but it's no 'Clones of Bruce Lee'. Saying Last Dragon is better than Citizen Kane and Godfather is just silly. Bond wrote: The Last Dragon is good but it's no 'Clones of Bruce Lee'. Saying Last Dragon is better than Citizen Kane and Godfather is just silly. See the people down there took a liking to his sheer audacity and sincere belief that he was now a divine benevolent Monarch looking out for the good of the people of the United States.He created an idea of a suspension bridge that would one day inspire the creation of the Golden Gate Bridge.He began personally acting as an unofficial safety inspector throughout the city making sure public works were maintained he issued his own currency which was honored in San Fransisco no play would open without inviting the Emperor and seeking his approval Restaurants gave him free meals and hoped for his seal of approval making it as a restaurant of quality and often engaged in philosophical discussions around the city. The good Emperor was once arrested in 1867 by a police officer who attempted to have him committed.Fortunately the chief of police noted that the Emperor had "shed no blood; robbed no one; and despoiled no country; which is more than can be said of his fellows in that line" and freed him.The Emperor bore no grudge and quickly issued a royal pardon to the officer forgiving him for his assault on his royal personage. 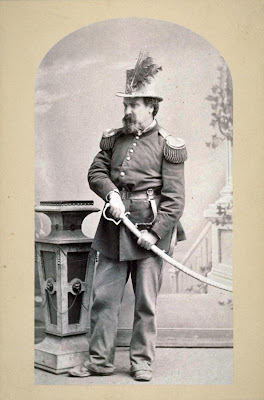 In 1870 during the Census of the United States one Joshua Norton 50 years old living at 624 commercial street was listed and with the occupation of "Emperor". Relevant to the whole Final Fantasy 7 fandom. I bring up Final Fantasy Tactics to "FF Fans" and they reply with "Oh Yeah! I have that on my DS!" -Sigh- FFT is closely related to Tactics Ogre. The original FFT boasted sprites that were so plausible to look at by the eye. Spells were detailed and vibrant. Have you ever cast Holy in that game? How about summoning Bahamaut? The story was deep and orientated towards an Adult Audience. It's difficulty curve is pretty crazy, requiring a great deal of grinding and class changing. With about more than 20 classes you could have a dragoon jumping around the map while casting off holy spells. Final Fantasy Tactics or it's PSP Remake. Is my most favorite FF game and it deserves such a spot.